Ho ho ho! In the spirit of the Rick Perry's war on Christmas, I have some tickets to giveaway. Tomorrow night you can catch some live hip-hop at Stubb's inside room. Grieves is hitting Austin with his On the Rocks tour, you can buy tickets or you could win some from me. This could be your chance to see a star on the rise in an intimate space. His album, Together/Apart was released on the Ryhmesayers label and it features classic boom-bap hip-hop beats with tight, introspective rhymes over the top. If you haven't heard it yet, you can check it out on Spotify. 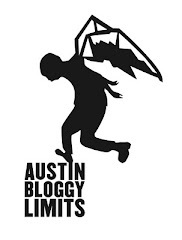 Since I was so wrapped up in year-end lists I only have the rest of the day to pick a winner so send an e-mail to contest@austinbloggylimits.com if you want to win. 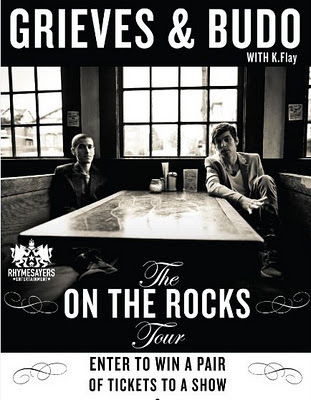 All you have to do is put GRIEVES in the subject and give me a brief reason why you should be picked. One person will get on the guest list with a +1 for tonight's show. Like I said I only have a few hours to choose a winner for this contest so make sure you enter the contest and/or tell your friends about it NOW.